Buying textbooks for your psychology courses can be very expensive, with some texts costing hundreds of dollars each. While you certainly cannot eliminate this expense, there are a few questions you can ask yourself at the start of each semester to help control your textbook budget. Do You Plan to Keep the Book After the Completion of the Course? If you are majoring in psychology, keeping all of your course textbooks can be a great idea, especially if you plan to attend graduate school in psychology. As you advance in your academic pursuit of psychology, you may frequently find yourself referring back to texts from previous courses. 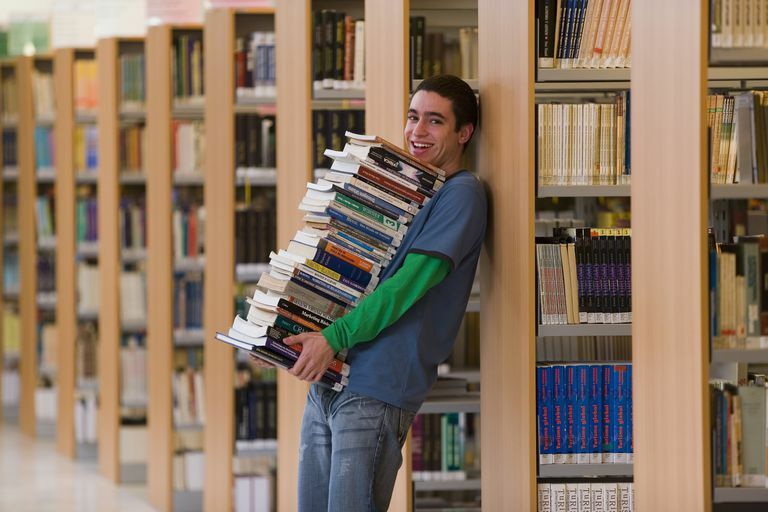 When it is time to take the GRE psychology subject test, you will have a handy library to study in preparation for the exam. If you do plan to keep your book at the end of the course, look for a new copy of the text or a used copy that is in great condition. Purchasing used copies of your psychology textbooks is a great way to save money each semester. Used books are generally much more affordable than new books, but it is important to carefully inspect your copy to ensure that it is in reasonably good condition. A textbook that has pages missing or is filled with highlighting and notes can make studying very difficult. Fortunately, many used copies are still in 'like new' condition, which makes this a great option for cost-conscious psychology students. Will You Really Use the Psychology Textbook for the Course? While a book may be listed on the required reading list, it does not necessarily mean that the professor will actually use the book as part of course lectures, discussions or exams. If you are not sure if the textbook will actually be "required," wait until the first day of class when you can look at the class syllabus to see if the schedule includes assigned readings from the book. Consider asking other students who have already taken the class about whether they actually used the book in the class. Can You Afford to Buy the Book? If the required psychology textbook is simply out of your budget, there are other ways that you can acquire the text. Consider borrowing the book from another student who has already finished the course. It might also be possible to share the textbook with another student in the class, but you'll need to be careful to work out a schedule that allows both of you plenty of time to read and study. If all else fails, talk to your instructor. Many college faculty members have access to multiple copies of the book, so they might even be willing to loan you a copy for the duration of the class. Is It Required or Supplementary Reading? Many psychology courses include both required reading as well as supplementary reading. These supplementary texts are intended to deepen your knowledge of the subject matter, but they are not necessary to actually pass the course. If you can afford it, buying the additional books can be a great way to learn more about the topic. However, you shouldn't feel pressured to buy these books if they are are outside of your budget. If you do choose to buy them, consider looking for used copies as a way to reduce costs.